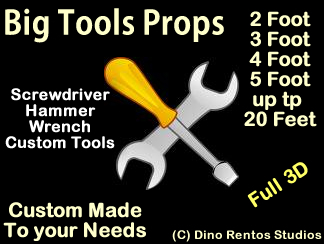 Giant/Big Tools - Any Size - Dino Rentos Studios, INC. Call us to get your custom tool made! We can make you any tools, any size and any color!